Mike arranged for the demolition of the uninhabitable bungalow on the site as well as the excavation for the groundworks and drainage, and moved on site in a large static caravan. 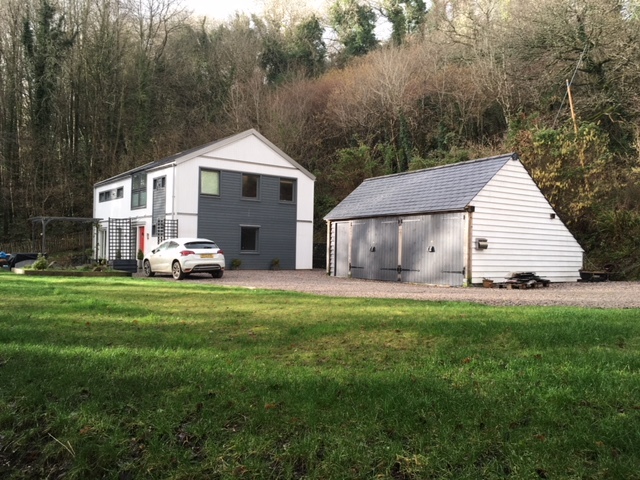 Scandinavian Homes then took over and handled the contract to completion, starting with the foundations and finishing with the handover of a comfortable and beautiful new home. 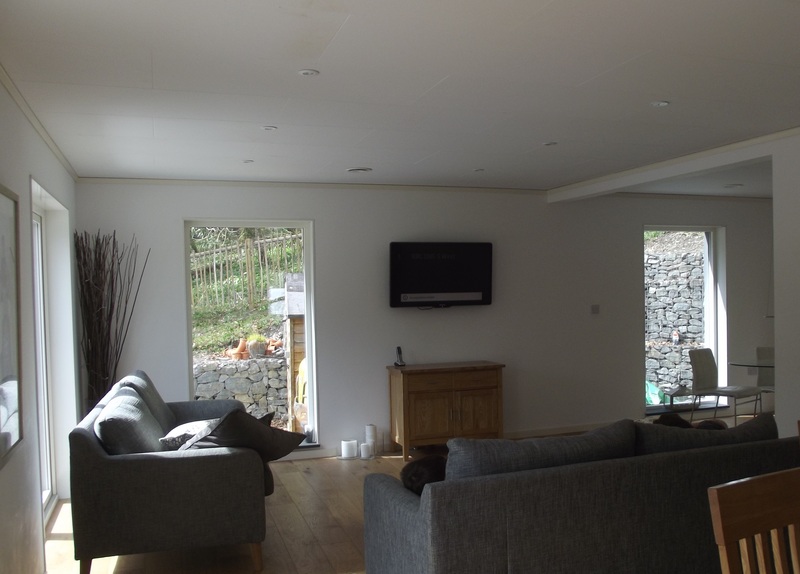 Mike and Louise were closely involved in choosing the kitchen, bathrooms, tiling and in planning the electrical layout and we met them over two days to finalise the specifications. 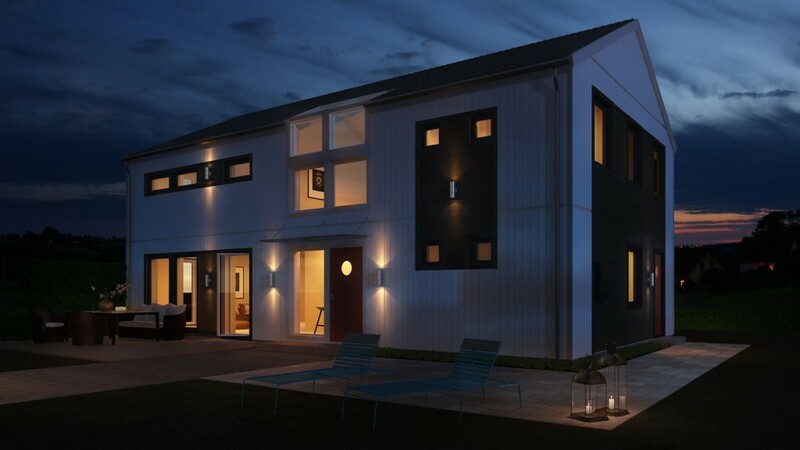 Scandinavian Homes then provided a fixed cost contract which they were happy to sign. 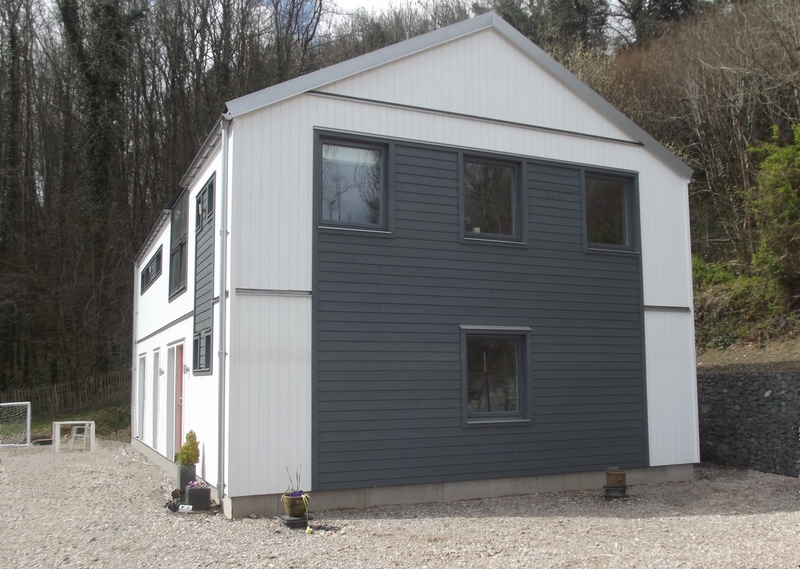 Close liaison during the factory lead time for the timber frame identified some changes to the the specifications and thus to the project cost, including upgrading the roof covering to slate and installing underfloor heating. Both sides agree the changes were worth making and have definitely enhanced the enjoyment of the house. As there is no gas supply available and they were looking for the most cost effective means to heat the house and provide hot water, a Nibe air source heating system was proposed. Coupled with a mechanical ventilation and heat recovery system and with both run by a nearby wind turbine, they expect to show over time that their running costs are negligible. The house’s SAP calculation gave a rating of 83 (B). 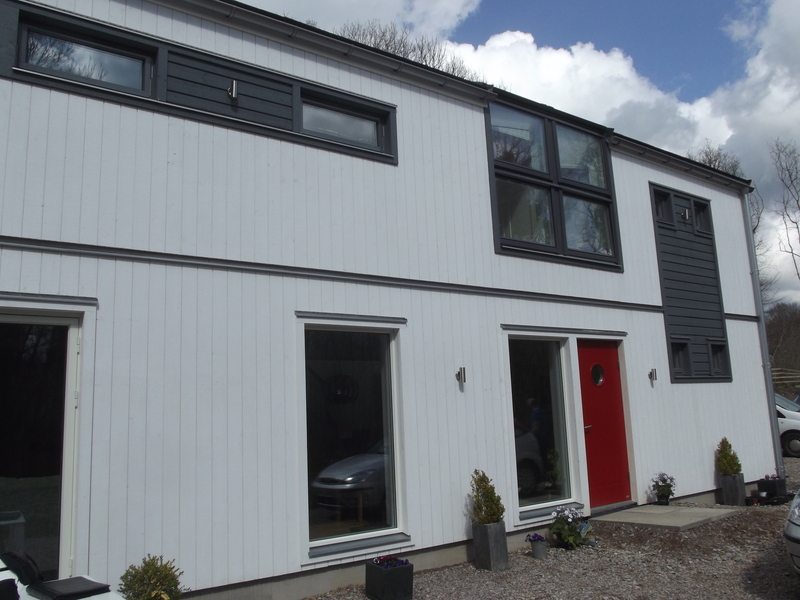 The turnkey project cost approximately £264,000 (or £1450/m2).